Movie Tie-In games have developed a terrible reputation over the years for a variety of reasons. Firstly, while a movie’s storyline is meant to keep the audience interested for only a couple of hours, an 8 hour game is considered to be very short. This means that a whole slew of unrelated storylines and time-wasting exercises are shoehorned into the final product, leaving it feeling disjointed and unrelated to the source material. One of the other big reasons behind Tie-In Games’ bad reputation is the time constraints put on developers. The amount of time to make a movie is nowhere near comparable to the time needed to build a game from the ground up, but the developers of these games often have even less time than the filmmakers to develop their product. This is the primary reason for the many buggy unimaginative games that litter store shelves the world over. Thankfully, a number of publishers are slowly waking up to these facts and realising that making a sloppy game and slapping a movie title on it is no longer a surefire recipe for success. Every rule has its exceptions though, and there have been a number of Tie-In games over the years that have broken the mould to give audiences a fun and engaging experience. 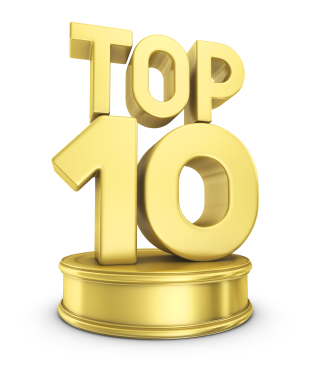 Here is a list of my Top 10 favourite Movie Tie-In Games. This list is entirely subjective, so feel free to put forward your own favourites in the comments section. Spiderman 2 was a great movie, but the tie-in game was actually pretty ordinary. The combat was annoying and the main storyline felt jerky and off putting. But there was one thing that Spiderman 2 did perfectly and that was to capture the feeling of being Spiderman. The experience of free roaming around New York City by swinging from building to building was so much fun that the rest of the game didn’t really matter that much. If you had the power to swing around like that, be honest, wouldn’t you spend most of your time just messing around? The original RoboCop movie by Paul Verhoeven was a brutally enjoyable action movie that unfortunately spawned a number of terrible sequels, games, comics, TV and even an animated series; turning the once high-profile brand into a bit of a joke. 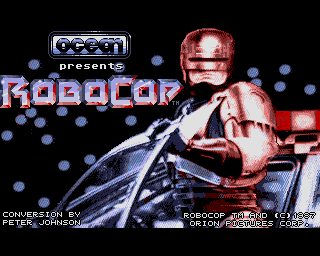 Like the movies however, the original RoboCop arcade game was really good. While I did play the arcade version, I spent the most time with this game after it was ported to the Amiga 500. It obviously wasn’t as violent or bloody as the movie, but the game was really fun and difficult to beat (the norm for that time period). The animations were really good for the time, and the one liners added that extra level of awesome that appealed to boys the world over. Dead or alive, you’re coming with me. Scott Pilgrim has been awesome in every incarnation (see Lindz’s review of the movie here) and this game is no different. An unashamedly old school side-scrolling beat ’em up that ties perfectly into the feel of Bryan Lee O’Malley’s crazy universe, Scott Pilgrim vs The World is the perfect game to play when your friends come around. In fact, this is a game that I think can only properly be enjoyed with company (and beer). The film and original graphic novels were essentially an extended love letter to gaming culture, meaning that the storyline actually fits perfectly into this type of game. While a lot of the complexity is obviously lost, seven levels, seven evil exes is enough for me. Any fan of action movies knows all about Die Hard. All three movies (Let’s ignore 4.0 for now) had a great combination of humour, explosions and yipee ki-yay that has made them some of the best known action films from the late 80’s/early 90’s. 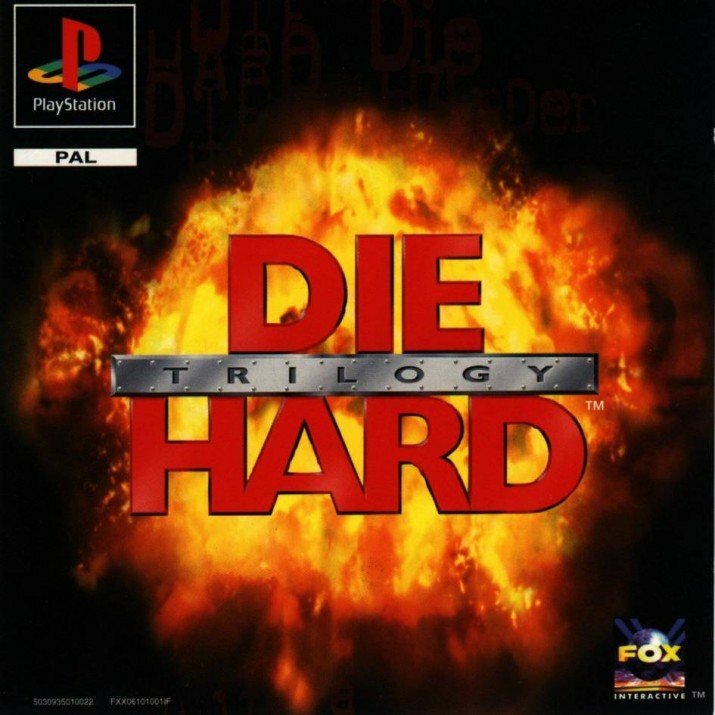 The Die Hard Trilogy for the original Playstation (the PC and Saturn ports weren’t nearly as good) tapped into all of these elements to make three very different but equally enjoyable games. The first was a top down 3rd person shooter in Nakatomi Plaza, the second an FPS set in Dulles airport and the final game was a GTAesque driving game set in New York city. All three games captured the feel of their respective movies really well, and I lost track of how many hours I spent playing this with my little brother. I believe it was actually banned in Germany for extreme violence, but the rest of the world realised how fun it was and propelled it into becoming one of the ‘Sony Greatest Hits’ games. Now this is one that I’m sure many of you have never heard of. Babylon 5: I’ve Found Her is a fan developed freeware space combat simulator set in the universe of Babylon 5 (my favourite TV show). The creators set themselves the ambitious goal of creating a storyline that spanned over the 1000 years between the last Shadow War and the TV series timeline and they’ve made good progress so far. There have been all sorts of development hiccups along the way (par for the course with any fan project), but the guys at Space Dream Factory have successfully created a number of small campaigns where you take the stick of one of the universe’s many different fighter craft and dogfight in a universe that fully conforms to Newtonian physics. If you try to fly this like an arcade game, you will end up dead very quickly. The first time you jump into hyperspace and feel how creepy it is you will realise what an impressive achievement this game is. You can check it out here. The modern kings of adventure gaming TellTale Games took a big risk with Back to the Future: The Game. Not only were they playing with one of the most beloved film franchises of all time, but they were developing it in a genre that is still considered extremely niche. Thankfully, the final product captured the overall feel of the movie trilogy perfectly, and some wonderful voice acting by A.J. LoCascio made Michael J Fox’s absence much easier to bear. The story was silly and convoluted, but that’s exactly what you want from a game involving a time travelling DeLorean. While the difficulty could have been kicked up a few notches and the ending felt a little confusing, this was a perfect homage to the movie trilogy and I hope to see more games in the future. This game bears the almost singular distinction of actually being far better than the movie it was tied to. X-Men Origins: Wolverine was a terrible movie, and I don’t think anybody expected much from the game. But what they got was Wolverine as a brutal wild animal slicing his way through a story that was only loosely related to the movie. This was the Wolverine that everybody wanted to see; a badass mofo that can take on entire armies before relaxing in the evening with a beer and a stogie. Voiced by Hugh Jackman, this game was almost enough to make us forget about the disaster of a film that lead to the franchise being rebooted in 2011. Almost. The Riddick movies have been a mixed bag, Pitch Black was an extremely enjoyable horror movie that was unfortunately followed up with a lackluster sequel. But even in the sequel, the great character of Riddick (Vin Diesel) was enough to keep me interested. With Vin Diesel being such an avid gamer, it was inevitable that there would be some form of game to tie in with the movie franchise. What we got was Escape from Butcher Bay, a canonical prequel to the series that has players stepping into the shoes of the eponymous character and escaping the ‘unescapable’ prison through a combination of sneaking, stabbing and shooting. This game is not just a good Tie-In game, it’s a good game period. First Person Shooters aren’t really my favourite genre, but I really enjoyed Escape from Butcher Bay. Voice over by Vin Diesel just added to the awesome. Does this one really require any introduction? Goldeneye is the game that brought FPS to the console and brought it in a big way. Every gamer has probably played this at some point. It is so popular that after several less successful sequels developers have just decided to remake the game with modern graphics so that people can play it on a modern console. 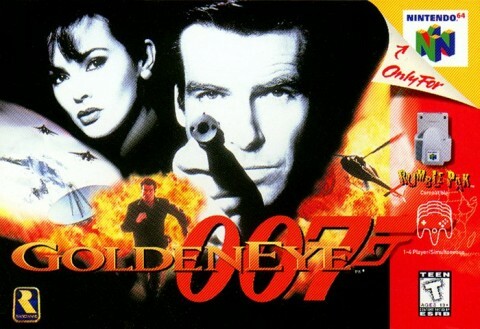 While the single player was extremely fun, it was in multiplayer that Goldeneye really shone. This game is probably single-handedly responsible for a worldwide drop in test scores due to lack of sleep. It looks absolutely awful by today’s graphical standards, but the gameplay is still there. This game really set the bar for movie tie-in games. But there is one Tie-In game that I think tops Goldeneye. The LEGO franchise has since split off into Harry Potter, Batman and Pirates of the Carribean; but it was the Star Wars games that really got the ball rolling. When the game was first announced, it left a lot of people scratching their heads. Why would anyone want to play Star Wars in LEGO in a computer game? Because it is FUN. These games brought the fun back to a universe that many were jaded about after the extremely disappointing prequel trilogy. Not only did the games make the prequels enjoyable, but they brought a whole new generation into the original trilogy. These games were ostensibly designed for children, but it soon became obvious that the parents were hogging the controls. This is a game that really does fill the cliché of ‘fun for the whole family’. Anybody can pick up these games and enjoy themselves, they’re easy to learn, but there are plenty of hard challenges for the completionists to aim for. If you haven’t played one of the LEGO games, I highly recommend that you run down and hire a copy – you won’t regret it. So those are my Top 10 Movie/TV Tie-In games. There are a few games that I would have liked to put on this list e.g. Batman: Arkham Asylum/City, Star Wars: The Old Republic, Lord of the Rings Online – but they didn’t really fill the criteria. They fit into movie universes, but they aren’t actually a tie-in to any particular film. If you think that there are any games that should have made it on the list, feel free to let me know in the comments. I’ve never seen Wolverine. Yet i had such a blast on the game. A great action game. The fight with the Sentinel is one of the best boss fights ever! I liked the shout out to Ocean’s Robocop.